Knowing that there are no two events alike, Ann offers four levels of service to her clientele. These options give you the flexibility to have just the help and expertise you need. Ann can advise you on the level that will best serve your needs. This full-service option covers the pre-wedding day functions thru the weekend festivities, travel, and whatever else your celebrations include. This premium level provides you with a comprehensive package of services that makes it possible for you to simply relax and let Ann take care of all the details for you. This full service option for weddings and receptions offers you complete planning and coordination services. Comprehensive planning and follow thru allows Ann to execute your every wedding detail. 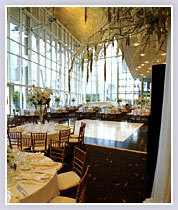 This service is available for weddings and receptions in Houston or any other location you desire. Sometimes planning a wedding can get overwhelming and you just need help to get it all pulled together. Ann can help you gain control of the loose ends so you and your guests enjoy a beautiful wedding. This is a great option for brides who have the time for the follow thru work of wedding planning. These sessions allow you to have access to Ann’s wealth of knowledge and experience as she coaches you in vendor selections, etiquette, and any other area where you need assistance in planning your perfect day.